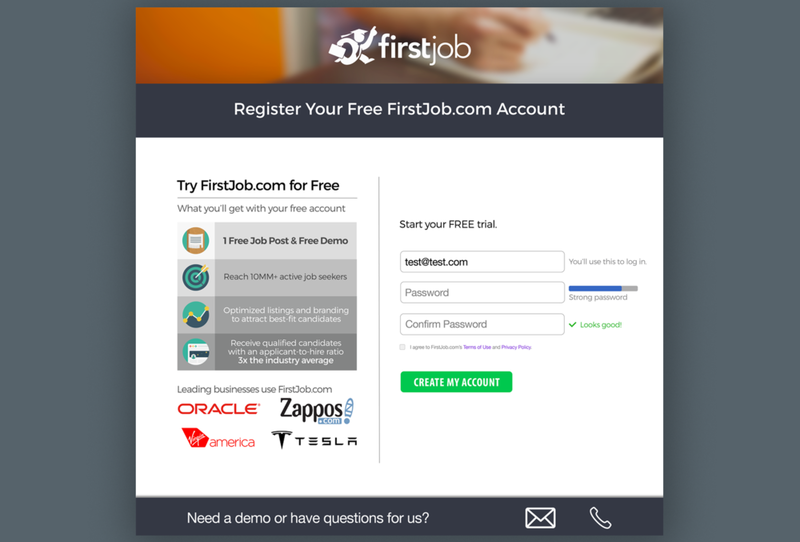 The challenge was to create a new, simplified signup flow for our users. The old flow had high user abandonment, most likely due to information and choice overload. It included a new user account signup, product package choice, and payment information gathering all in one. My goal was to reduce cognitive load on the user and increase clarity in terms of what users were signing up for to deliver a better experience as well as higher successful signups. I created a new flow (shown below) in which I reduced screens from 7 to 4, removed payment from the signup flow altogether, and clarified exactly what users were signing up for as well as simplifying service choices. My process began by documenting the entire site in a user flow chart. I then consulted with the engineering team to clarify our needs in terms of minimum data needed from the new users. I designed possible new flows, then skinned the wireframes in Photoshop and Illustrator. I created ALMA at ProtoHack San Francisco with a team of 4. 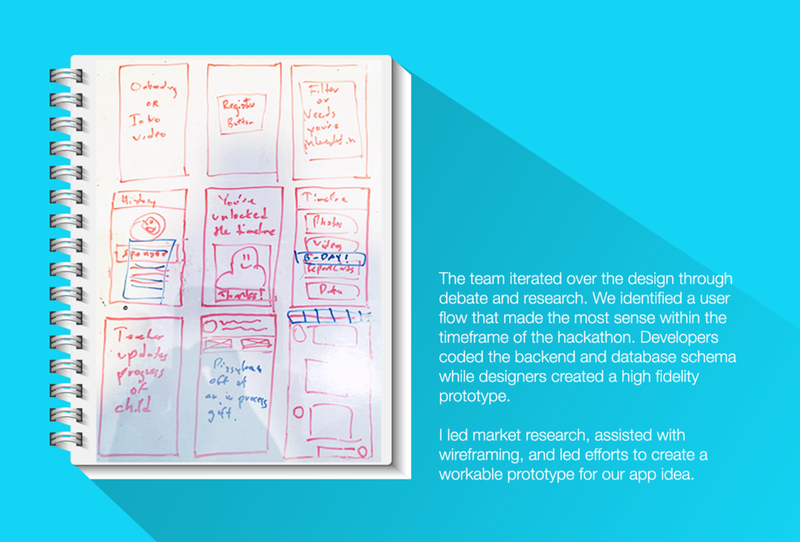 We decided to apply lean design methodologies to our process as the Hackathon was only 9 hours long. I led efforts to conduct user interviews, market research, problem synthesis, solution ideation, and was the sole creator of the web app interface that you see above. One of my main goals was to create a beautiful user experience that fit in seamlessly within a user's daily activities at work. Our product was envisioned as an integrated Chrome extension or web app that would help teams garner passive interest in activities that their team was doing outside of work. It would also generate smart suggestions based on user likes and dislikes to match you and another teammate for an even outside of work. These events could extend from bowling or yoga to professional development events not directly sponsored by the company like coding workshops or hackathons. 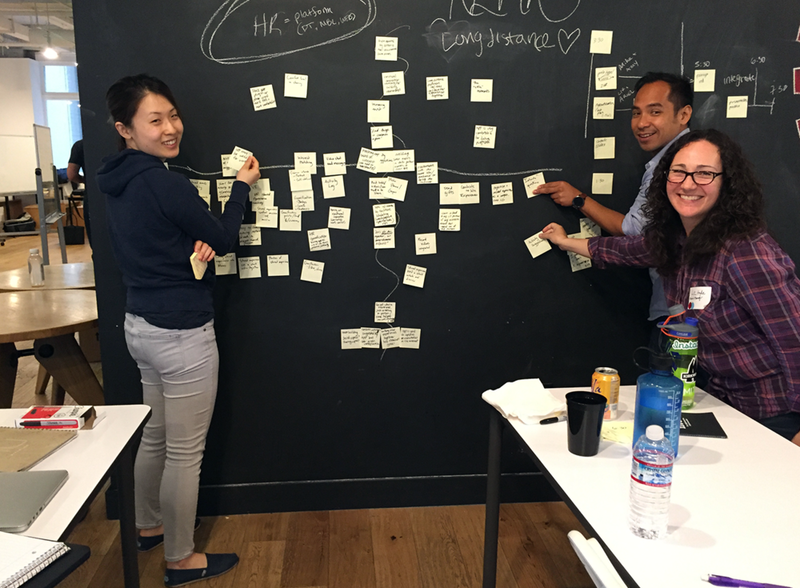 The goal was to foster passive teambuilding and enable more organic relationships to form between team members. I included a social feed on the left of the interface to foster a sense of community and cohesiveness with users. Our market strategy was to sell to HR/People Ops as the data garnered in terms of which team members jive well together and what types of events and professional skills the employees are interested in pursuing further could be invaluable in increasing productivity, company loyalty and retention. As part of a product revamp, my team envisioned a completely new experience for jobseekers and recruiters on iOS. The challenge was to create an app that would deliver the best of our web experience as a job board to applicants while keeping the recruiters who would be receiving those applications on the other end happy. After researching competing apps and gathering insight from potential users through ethnographic interviews, we decided to change the traditional resume and cover letter upload to new media formats that could be easily captured through our app. 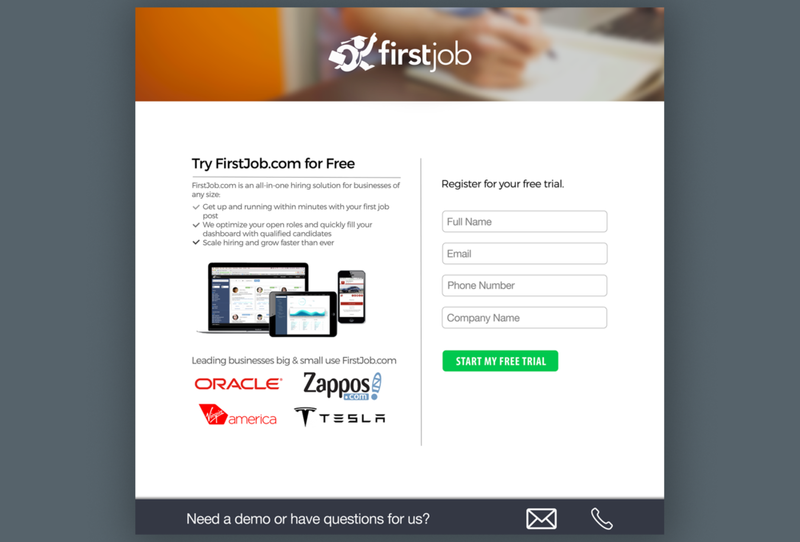 On top of that, I worked with our engineers to conceptualize an AI feature that would give instant feedback on job applications such as missing requirements or conversation prompts to help jobseekers begin conversations with recruiters. I led ideation and design efforts with the product team as the sole UX designer in order to ensure our product had the best possible user experience. Time was of the essence, so I conducted a week long design sprint with two iterations on the prototype and took it through two rounds of testing. At the end of the week, I delivered an MVP prototype including the sign in, register, job search, apply and messaging flows as well as branding and research insights to the product team to start building. I envisioned the SEAD app to enable people separated by long distances to build a common trove of shared experiences as a solid foundation for further emotional growth of trust and camaraderie. Through ethnographic interviews, I realized that many workers on a remote team desired a closer connection with teammates that they had never met in person before, and it was hard to start conversations outside the scope of immediate-need tasks with them otherwise. My "aha" moment came when a user stated that even meeting someone once was enough to facilitate further conversations, however not every company has the resources to send teammates overseas. In lieu of that, our app aims to facilitate a shared experience based on user interests across geographical locations, and captures images and emotions that are then utilized to promote conversation and connection. 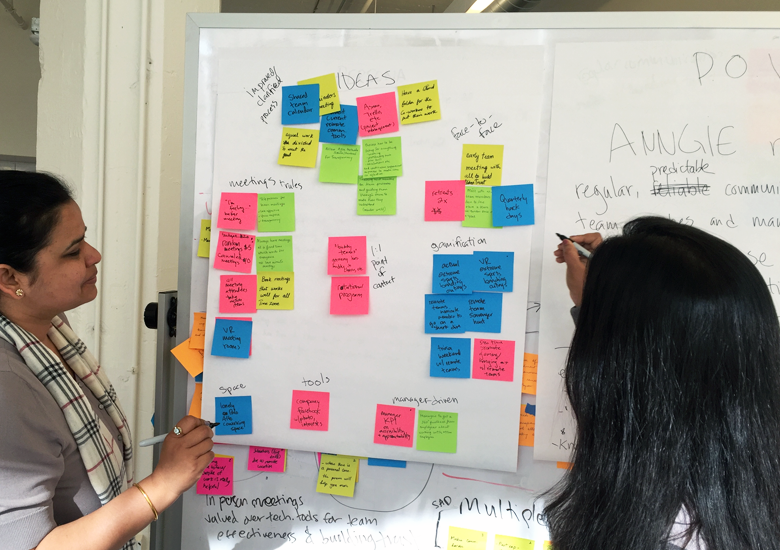 Utilizing design thinking methodologies introduced in the workshop, my team brainstormed and synthesized the problem statement. 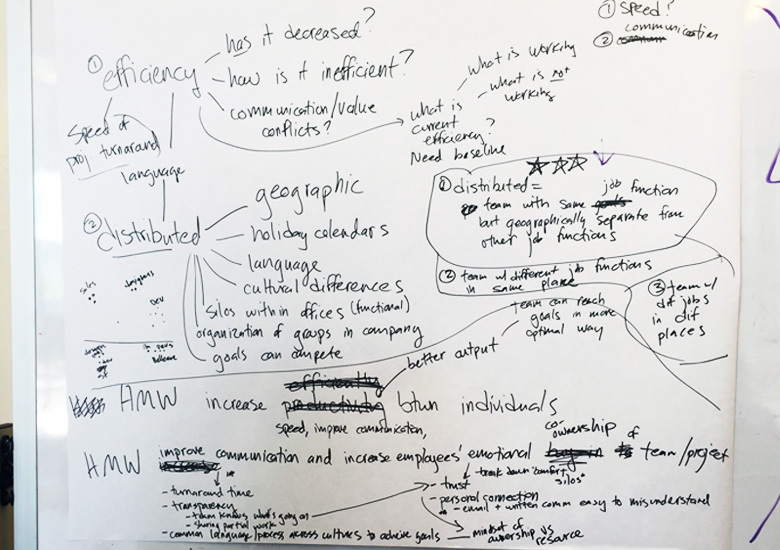 I conducted user interviews with a partner and we created an affinity diagram from the user insights to synthesize trends and problem hypotheses. My partner lead persona creation and as a team we created a P.O.V. I then led wireframing efforts and created the low-fi prototype and tested with users. 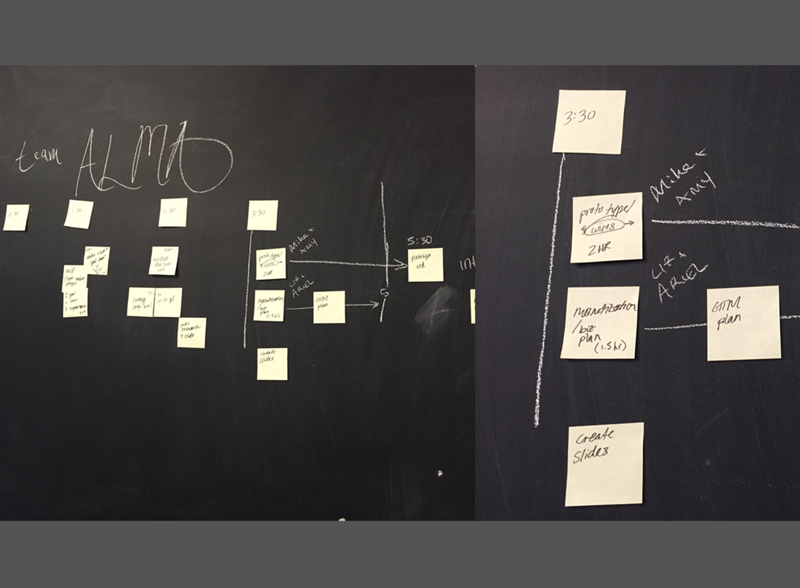 After incorporating feedback we iterated on the design a second time to deliver the final screens. The EduKid app was created at HackingEDU, an edtech hackathon. 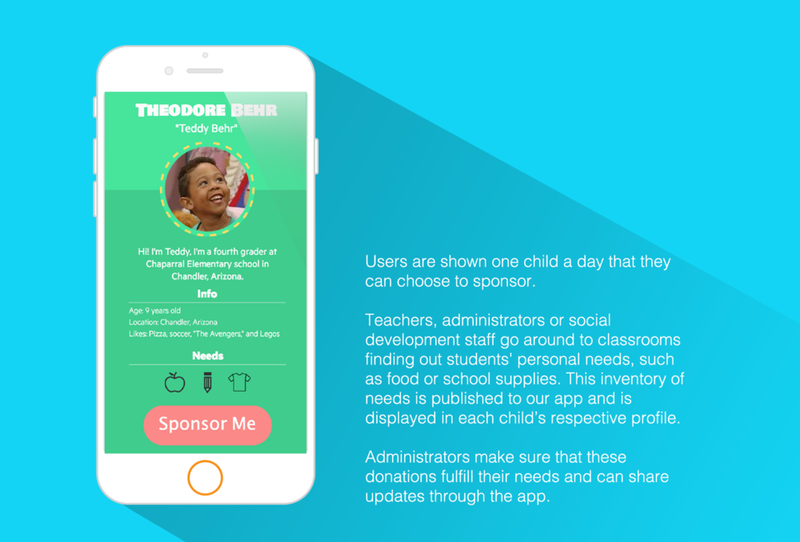 I formed a team with 3 others as a designer and we decided to create an iOS app that would connect children in need with sponsors in a highly impactful manner. 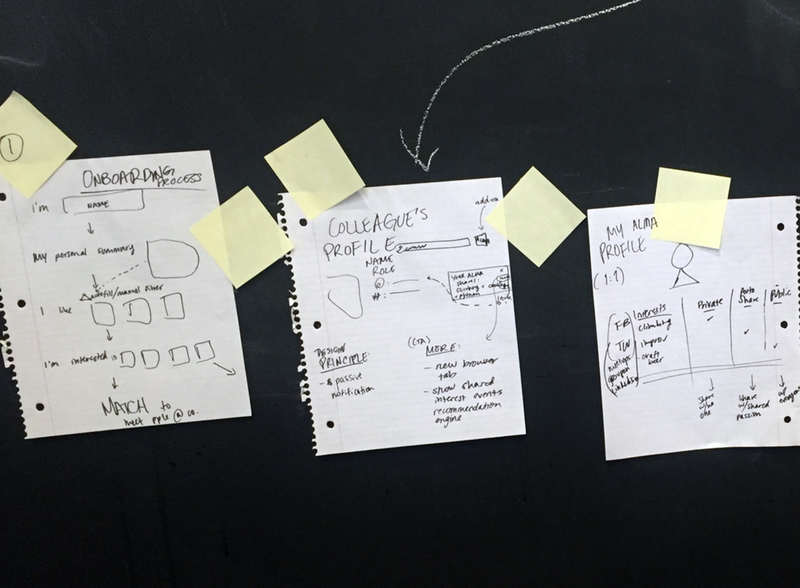 During this project, I led efforts to brainstorm, conduct user interviews, wireframe and prototype our product. Our biggest challenge was to create a system that would continually motivate the users to donate and support the children/benefactors of the app. Through user interviews, we realized that one of the most intrinsically motivating aspects of a donor-donee relationship such as this was the opportunity to have a positive impact on the children's lives. However, with current programs such as Sponsor a Child, feedback from the children was infrequent and low quality (occasional letters and pictures mailed by teachers). We realized there was a huge opportunity for technology to step in and fill the gaps with videos, texts and automated updates of a child's upward progress, delivered to users instantaneously through their phone app. Not only would the EduKid app cut down on wait time, it would also connect users on a more personal level with the children they are sponsoring. Users would be able to see the immediate effect and relief that their donations brought to children, thus creating a positive feedback loop to encourage future donations.